By setting the bar so that new homes and buildings perform better and pollute less -- at no additional cost -- we are taking an important step toward reducing our dependence on fossil fuels, and bringing construction standards in line with those being adopted across Europe and North America. The city's new policy will save us money, expand the number of jobs in green construction, and benefit our health. It's an exciting blueprint for what will become the new normal in construction in B.C. and across Canada. This week, Vancouver is taking an important step toward making our homes and buildings healthier, greener, and more efficient. On May 1, the City of Vancouver's updated Green Buildings Policy for Rezonings came into effect, mandating that new commercial and multi-unit residential buildings be built to standards that ensure they are airtight and soundproof, and have excellent insulation and ventilation. Buildings constructed under the new rules will emit about half as much carbon pollution as older buildings, making a significant contribution to the city's goal of using only renewable sources of energy by 2050. The good news for homeowners and renters? These buildings will boast consistent indoor temperatures, high indoor air quality, and last longer. They will also use very little energy and, therefore, will be much more affordable to heat. Best of all, due to the simplicity of insulation-first design, these benefits -- and the emissions reductions that accompany them -- will come with lower overall and operating costs. 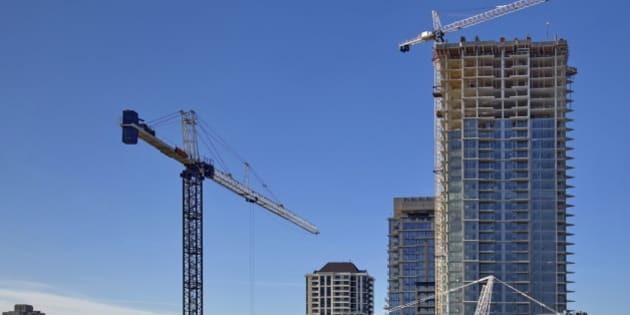 Most new large buildings in Vancouver are constructed following the rezoning of property to permit development that does not comply with pre-existing land-use regulations. One way to fulfill the requirements of the Green Buildings Policy for Rezonings is to meet the Passive House standard. This internationally recognized certification for ultra energy efficient buildings has given rise to a development boom in Vancouver. Passive House has gone from a niche product for boutique homes to a mainstream standard that now boasts thousands of certified units in North America (including places such as Bella Bella and Fort St. John in B.C.). There are no less than 20 Passive House developments in progress around Vancouver, representing over 600 new apartments that will cost as little as $60 per year to heat. Constructing new energy-efficient homes and offices will be a boon to Vancouver's green building sector. In B.C., the sector already employs over 23,000 people, and the industry is ready to respond to increased demand. New trades training is being offered by such institutions as the British Columbia Institute of Technology, which recently launched a new hands-on High-Performance Building Lab. Passive House Canada now trains hundreds of people a year, including designers, builders, and government staff. Energy-efficient buildings are one of B.C. 's biggest opportunities for real and lasting job creation. Vancouver is driving the shift to modernized building requirements and was the first city in North America with a roadmap for eliminating emissions from new homes and buildings by 2030. But the city is not acting alone. The B.C. government has followed by stipulating that new construction be net-zero energy ready by 2032. (Net-zero energy ready refers to buildings so efficient that they could satisfy all of their annual energy needs with on-site renewable sources, such as rooftop solar panels.) The province of Ontario has adopted a similar requirement, and the federal government is taking steps to encourage the other provinces to do the same. Karen Tam Wu is the B.C. associate director and the Buildings and Urban Solutions Program director at the Pembina Institute, Canada's leading clean energy think-tank. Lee Loftus is the business manager at the B.C. Insulators Union (Local 118 of the International Association of Heat and Frost Insulators and Allied Workers).